If hell is not chrome in House of Cards, it is certainly elegant. As Netflix’s second in-house television production venture, it ought to be, with a 100 million dollar budget, with Kevin Spacey and Robin Wright and Kate Mara, with David Fincher’s hand in the mix. Whether it is the clean handling with which impossible tasks are accomplished, whether it is the lilting soliloquies we haven’t really seen on television before, or the Shakespearean grace of wordy power moves, or the tastefulness of the life the Underwoods have created for themselves—the show makes political power and soulless corruption a beautiful thing to watch. 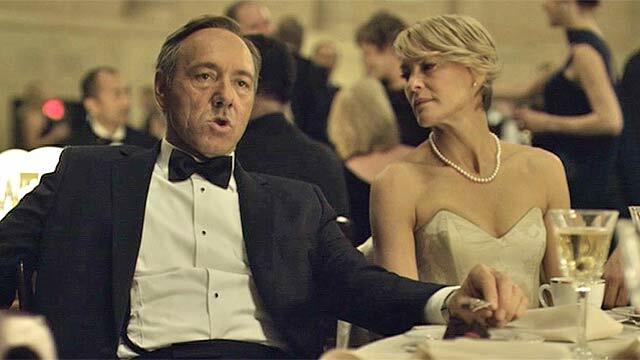 The show focuses on Majority Whip Francis Underwood (Spacey), his wife Claire (Wright), and their partnership towards power. Francis, or Frank, after losing what he thought was a surefire selection into the Secretary of State seat, begins plotting by the first episode a plan to avenge his thwarted ambition. Besides the first setback, and I am not giving anything away by saying that the title is “House of Cards,” there’s nothing visually representative of vulnerability. That is, until the camera moves “backstage.” The show has a tremendous amount of Richard III Machiavellian drama—all efforts to build up plans and demolish others happens after the senatorial glad-handing, in the meetings after the meetings. All of Frank and Claire’s plotting happens with cigarettes at an open window in the middle of the night. In his soliloquies, Frank’s power literally stops the action of the play—and he pauses to speak to the audience, to break the fourth wall in a demonstration of that clean control. 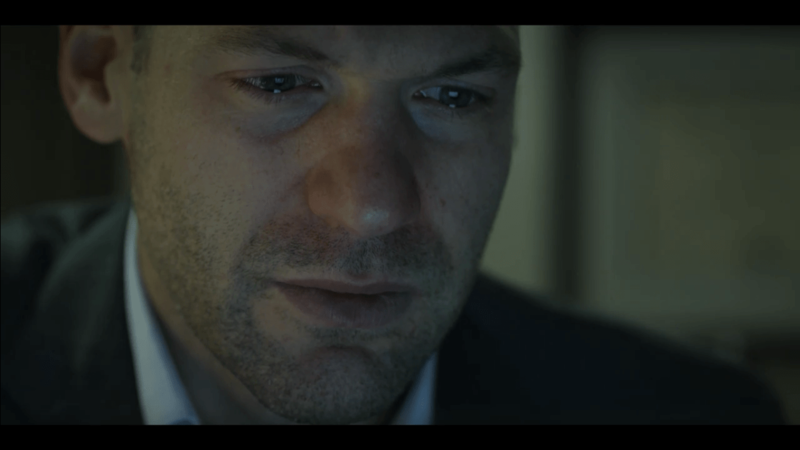 Everyone else in the show is seen as either a supporting or complicating presence to Frank’s plans, and this makes for interesting television. Anyone who is a friend now can just as easily be “disposed of when there is no need of them.” Doing it this way, centralizing the show around power brokering and favor grazing, the plot complications and loyalties are as infinite and transitory as possible—thus, success sits upon a house of cards. Such a waste…he chose money over power, in this town a mistake nearly everyone makes. Money is the McMansion in Sarasota that starts falling apart in ten years. Power is the old stone building that stands for centuries. I simply cannot respect someone who does not see the difference. The only Achilles heel we spot in all of Season One is Underwood’s strange visit back to his alma mater, where Frank is being honored with a library in his name. There he cavorts with his old a capella companions, has a (very strange) romantic nostalgia with one them, and he leaves The Citadel weekend with pause. For the first—and, to me, only—time, we see the only remorse for an earlier Francis Underwood that was discarded in pursuit of his ambition. Francis’ signature knuckle-rapping is something he says he gets from his father, a blend of hardening his knuckles for a fight while also knocking on wood for good luck. “Preparation and luck” is his doctrine for significance. Everything, from his affair with reporter Zoe Barnes to his assistance with the Chief of Staff’s son’s Stanford application, is a chess move, an exchange of favors in preparation for a greater move forward. Whether it is sexual or criminal, hell, here, is the solitary nature of quid pro quo. As soon as “bad luck” befalls him, his victims are discarded, and a new preparatory angle is taken to get what he wants. Claire: I was thinking about when one of us dies…what will we leave behind? Francis: We have accomplished a great deal, and I intend for us to accomplish a lot more. Claire: But if we’re not…I’m being silly. Zoe Barnes: The fact-checking-intern-turned-famed-Slugline-analyst has Francis to thank for her rise to prominence, but at what cost? Certainly I thought that Zoe was merely a smaller, prettier allegory for Francis’ own soul loss. She, too, seeks significance and clout, and she is willing to, ahem, “exchange favors” for the dividends. She enters Congressman Underwood’s lair of power brokerage, but then something beautiful happens: she becomes useless to him. In becoming useless, she gets lonely, and in getting lonely, she seems to be falling in love! And to a really good guy! And not just any good guy, but a guy who is empowering her to tell her story—contra-Underwood. Mara’s great, but Zoe may be the weakest character in the ring. She’s not going anywhere, though. Peter Russo: Russo was always meant to be Underwood’s pawn, to “explode, withdraw, and quietly go away” on Francis’ way to the White House, but he paradoxically proves to be the complicating factor in the whole ruse. Peter is the Everyman Senator, the senator with a visible history, from a blue-collar home in Pennsylvania—he is young and impulsive and yet came into merciless Washington for the truest of reasons. And this is his downfall. Peter’s relationship with Francis is humankind’s relationship with the Law—he is literally brought to his own death by its plying. In the run for governor, it seems that Peter is given the hope he needs to reach the potential he’s always had: he gets sober, he gets his secretary-girlfriend back, he starts sounding smart and driven again. And yet it was all to bring him to an eviscerating end. Sadly, he does not exit the stage until he has lost everything again. Peter: I need to take responsibility for my actions. Real responsibility. Like they talk about in the (AA) meetings. Not the lies we tell on the campaign. Francis: What you did was extremely reckless. Peter: I don’t care. I’m making a statement tomorrow morning, Frank. Francis: About pulling out of the race? Peter: No, that’s not enough. I need to stop hiding. It’s got to be my own. It’s got to be my own words. Francis: There has to be a way of taking responsibility without shattering everything. But perhaps the character of the show, the dark horse, the true Everyman, is Rachel Posner, the paid-off prostitute who unknowingly seals Russo’s fate? It will be interesting to see if this one, the least of these, can usurp the exchanges of favors, because she is so complicit with it. For my money she’ll be bigger next season than she was this season, but I guess we’ll have to wait…and quite a while! 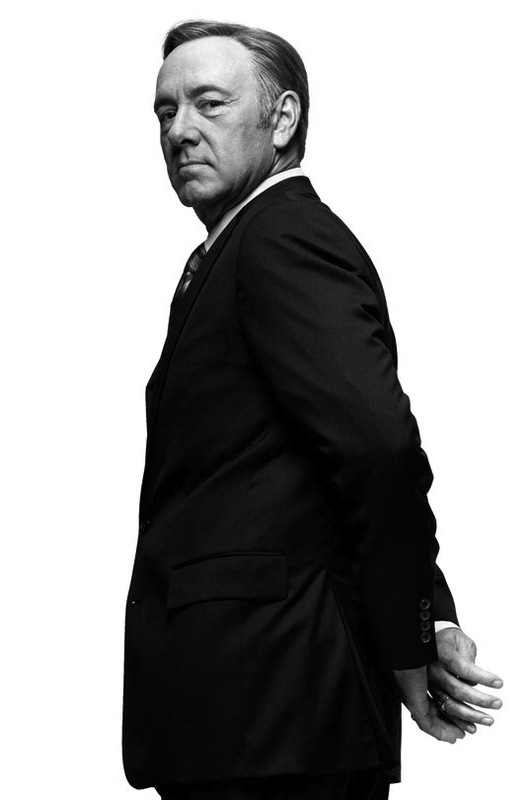 Frank Underwood = Don Draper, but with less remorse. He’s the man we love and hate at the same time, rooting for his success while anticipating his downfall. Nice analysis. After seeing House of Cards it occurred to me that Kevin Spacey would make a terrific Uncle Screw tape, Underwood southern drawl and all. I appreciate how the writers and directors have infused this show with surprise vulnerabilities and I feel genuine pity for almost every character.